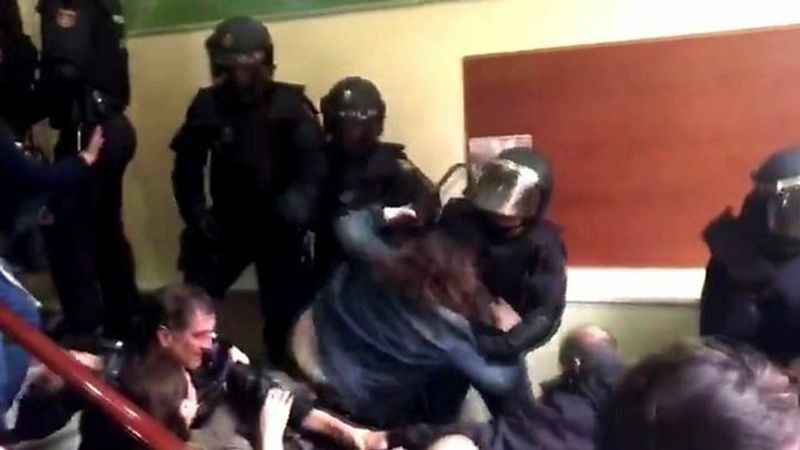 Following link contains 717 Videos of the Repression lived in Catalonia by the Spanish Police in the Referendum of October 1, 2017. Many people around the world already watched many of the videos and are ashamed about the Spanish Government hitting people in order to avoid voting (also ashamed about Europe letting this fascist behaviour). By the way, more than 2 million voted for independence despite Spanish Police violence. Now, new Minister of Foreign Affairs in Spain (Josep Borrell) tells to the world this violence is fake news, claiming most of the videos are from Pinochet repression in Chile (1973-1990). Next months Spanish State will judge the Catalan Government, social entities leaders and Catalan police chievs. Spanish State acuse them for rebellion and secesion (20 - 30 years in prison) and there are people in prison and exilee for more than 1 year ago. It is totally crazy Europe has did nothing yet. Catalan people has the right to chose their future, like Scotland did for example.